Seventeen adorable photographs of babies from across the United States showcase the diversity of our country and the universal joy of play and discovery. 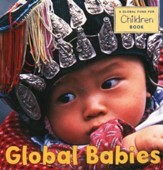 From the creators of Global Babies. 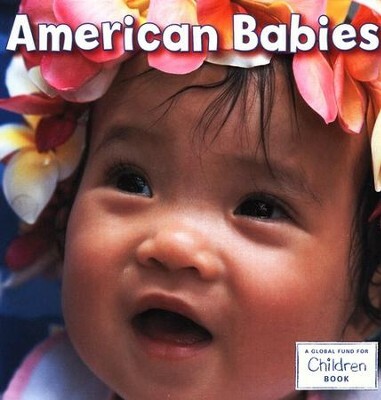 Celebrate the American spirit with babies from across the country in this charming addition to the best-selling Global Babies series. 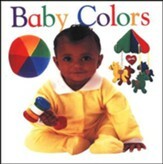 Seventeen richly colored photographs embrace the diversity of American babies and the universal joy of play and discovery. The board books small format is perfect for little hands while its simple text will nurture growing minds. American Babies teaches even the smallest of readers that no matter where they live, babies are surrounded by love and raised in hope. 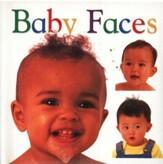 A perfect baby shower gift or first book for the toddler in your life. Part of the proceeds from this books sales will be donated to the Global Fund for Children to support innovative community-based organizations that serve the worlds most vulnerable children and youth. The Global Fund for Children is a nonprofit organization committed to advancing the dignity of young people around the world. The GFC pursues this mission by making grants to innovative community-based organizations and by developing books that celebrate our global society. GFC books include WHAT WE WEAR, BE MY NEIGHBOR, and FAITH. Please learn more at www.globalfundforchildren.org. I'm the author/artist and I want to review American Babies.